If you don’t want to cook your Lobster, or don’t have a place to do that. It takes between 7-8 years for a lobster to reach 1 pound. 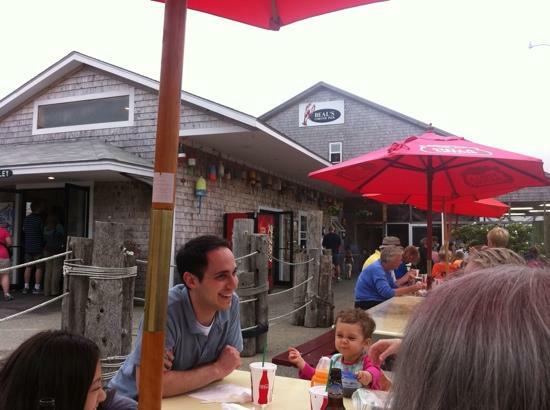 You are departing from our boat right at Beals Lobster Pier! You may bring your Lobster right to the Restaurant, and for a small charge they will cook it. This also allows you to buy more lobster and the rest of your meal for the freshest Lobster you will ever eat! What a great day fishing! The fillet fish they (by Law) cannot cook for you. So if you do not have a place to cook it perhaps you should tell the crew and they will share it with another passenger. You have had the fun of catching it at least.